The new Xiaomi Mi 8 smartphone will be unveiled in Chengdu, China later today. First the phone appeared with the translated name Mi 8 Youth, then we expected to be actually named Mi 8X. Well, it seems like Xiaomi will launch the phone as Mi 8 Lite, as the official invitation and camera sample teaser suggests. 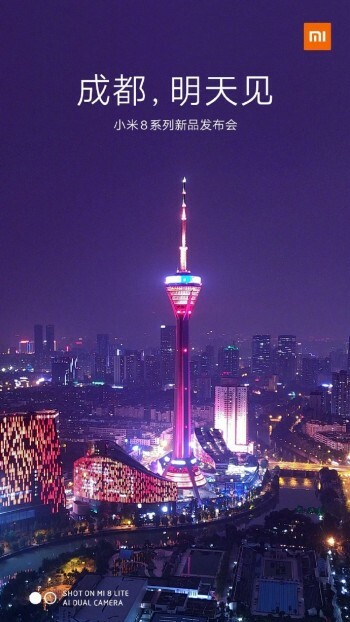 The Chengdu Radio and TV Tower is in the center of the night shot, accompanied by the huge sign saying “See you soon, Chengdu”. While this is clearly a teaser for the upcoming event in the Chinese city, it sports the typical watermark in the lower left corner where we see “Shot on Mi 8 Lite”, lifting the curtain on one of the last unknowns about the new device. 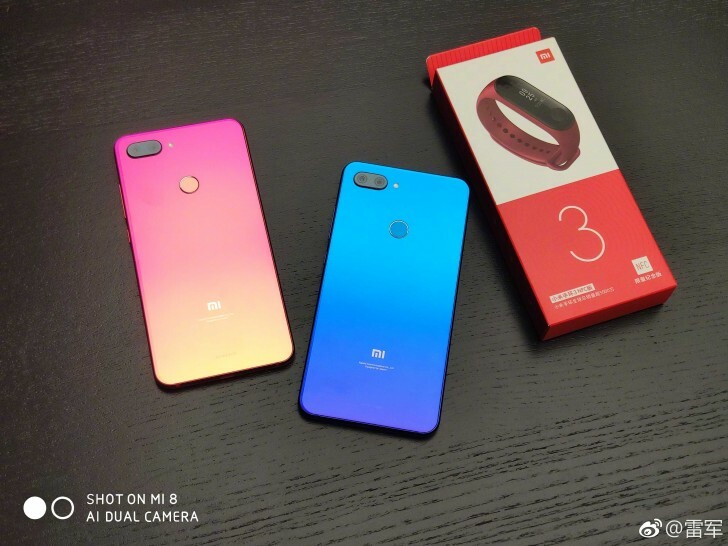 While waiting for the event Lei Jun, Xiaomi CEO, posted a photo on his own Weibo account with two Mi 8 Lite smartphones next to a retail box of the Mi Band 3 with NFC, giving even more clarity what we will see in Chengdu. We already know the phone will come with a 6.26” notched screen, Snapdragon 660 and plenty of color options.